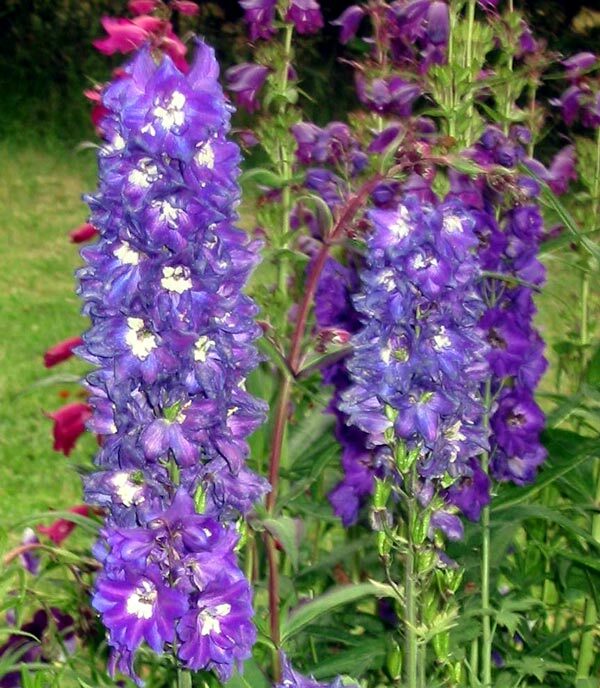 I love my random patches of delphiniums (particularly when the wind isn't blowing). Some are seed grown, others were bought in from a fancy catalogue. My bees love then, too. My latest clump comes from a departing friend's garden, and are the most successful. They get lots of sun and are sheltered in the Willow Tree Garden over the water race. Unfortunately when the summers are dry the delphiniums in this photograph get cut down in their prime by a nearby irrigation sprinkler. This year for the first time I have cut them hard back. I'm waiting to see if they have the strength and attitude to bloom again in my garden. They always do in the books I read! I'm pleased to report a good second flowering! 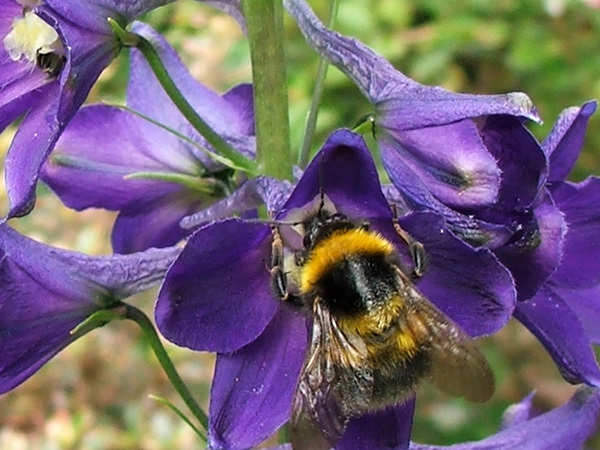 So if I remember to trim the delphiniums in time, I will be rewarded. 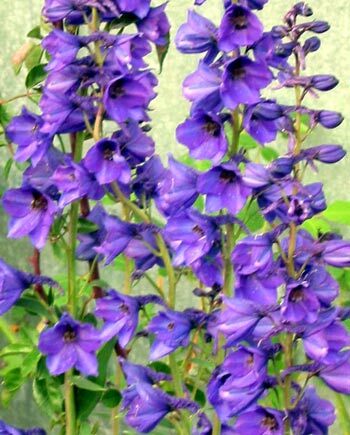 Generally speaking delphiniums in New Zealand gardens can be a bit of a liability - only because of the windy days we can expect to get. Staking the actual blooms seems a little extreme to me - after all, these flowers have to suit their environment, not vice versa. But there's no doubt that the rich deep blues are truly beautiful. Blue is my favourite colour, and I'll always enjoy the effect of the blue annuals and perennials in my flower gardens.